These bath safety strips are perfect for all bath shapes and sizes. They are made from soft textured.. 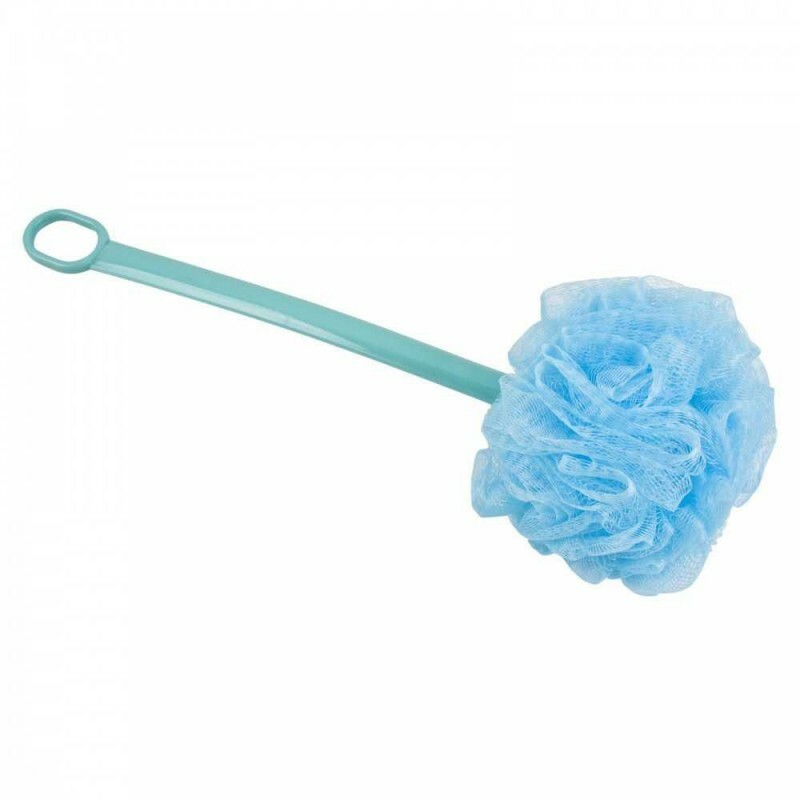 These long handled sponges and pads are mounted on plastic coated wire to allow the legs, feet and b..
Sure Tread non-slip bath and shower mats give you an extra sense of security and total peace of mind..
End up paying only €4.07 after claiming the VAT back for this product. Click here for more information. 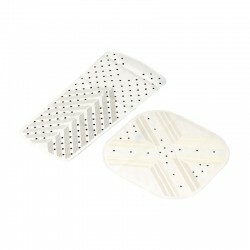 Specially designed to help apply moisturising lotions, suntan oils, sport creams and medications on hard to reach places. 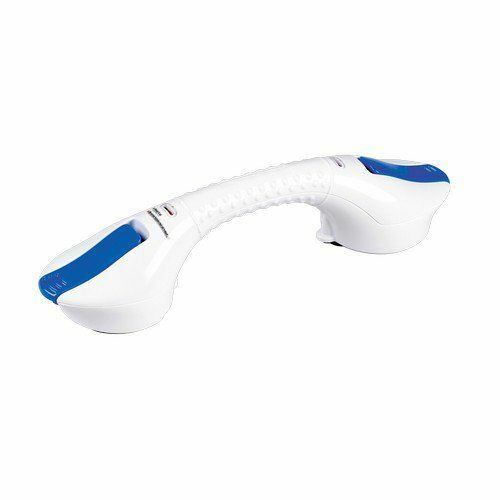 The built up, ribbed handle has a thumb rest and is angled in two places for maximum manoeuvrability. The sponge can be removed when worn and replaced with a new one. This product may be referenced by 09-107-7973, 091077973 or AA1862 ..
A cotton flannel strap designed to help reach awkward places. The cotton terry surface can be used for washing and the coarse foam on the reverse can be used for scouring and toning your skin. The D-shape handles allow an easy, secure grip. Supplied with a matching hand mitt for washing the remainder of your body. Hand wash at 40ºC. This product may be referenced by 09-107-7841, 091077841 or AA1856 .. The Everyday mat is a practical solution to bathing security. The ‘basket weave' surface reduces the risk of slipping whilst standing or sitting. The mat has excellent grip due to the large number of suckers and the high-grade rubber material. Multiple drainage holes allow water to drain off the surface quickly. Four different sizes allow you to select the correct size of mat for your bath or shower to ensure adequate surface coverage. This product may be referenced by 09-107-7312, 091077312 or AA1805 ..
Sure Tread non-slip bath and shower mats give you an extra sense of security and total peace of mind. With their raised ridges and unique design, the mats allow you to stand or sit, without slipping, on a wet surface. The mats grip securely and safely due to their high-grade medical rubber content and additional suction cups. Enjoy the ultimate secure experience of bathing with Sure Tread. Machine washable at 40°. .. 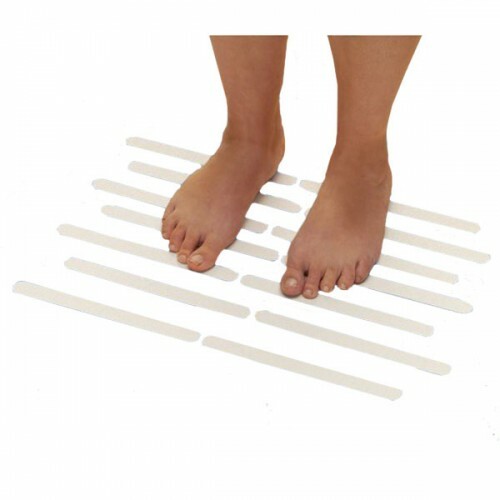 These bath safety strips are perfect for all bath shapes and sizes. 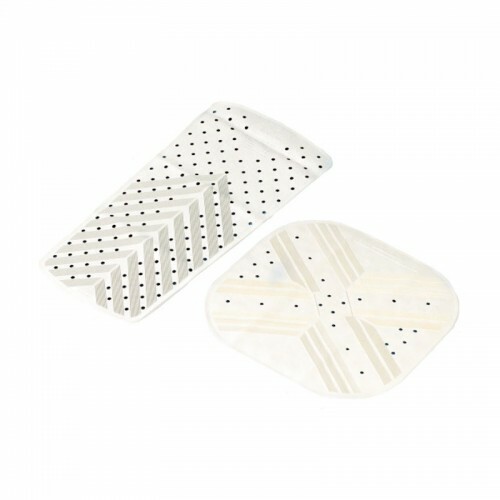 They are made from soft textured rubber and are adhesive backed for easy installation. Supplied as a pack of 20 strips. This product may be referenced by 09-106-4070, 091064070 or A830600 ..
Shampoo your hair without water or rinsing! The Rinse Free Shampoo Cap is the most convenient and effective way to clean and revive your hair without any fuss. The Rinse Free Shampoo Cap can be warmed in a microwave prior to use for the nicest feeling of warmth during a cleansing head and hair massage. Simply place the cap on your head and massage until the hair feels saturated. Remove the cap and discard in an appropriate recepticle. No additional conditioner is required. Towel dry the hair, comb and style as normal. The Rinse Free Shampoo Cap is perfect on camping holidays or when ill or con.. Completely clean hair without water or rinsing. Ideal for camping, travelling and the elderly or infirm. Nilaqua Shampoo is an alcohol free and hospital-approved hair cleanser that leaves hair fresh, clean and odour free without water or rinsing. Simply apply, massage to a lather and towel dry. Note this is not a dry shampoo. This product may be referenced by 09-131-1034 or 091311034 .. 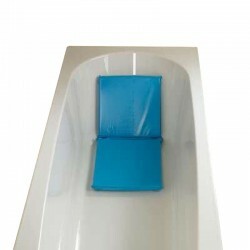 Designed for comfortable and convenient in-bed shampooing, this inflatable basin provides secure, form-fitting support that cushions the head and shoulders and includes a built-in inflatable headrest. Made from heavy duty vinyl. The 1m (40˝) flexible drainage hose has a stopper at the end for control when emptying. Designed to be lightweight, portable and compact for convenient storage. This product may be referenced by 09-107-8161, 091078161 or AA1874 ..
A soft, non-slip cushion designed to make bathing a safe and comfortable experience. The foam inner is fully sealed in the waterproof outer, making it easy to clean and disinfect with normal cleaning agents. The cushion has suckers on the underside and the rear to keep it securely in place. This product may be referenced by 09-107-7411, 091077411 or AA1815 ..